We've combined our high-quality shears and tweezers to provide you with a grooming kit that includes a protective carrying case. Quality, price, and great aesthetics, all in one set of shears. 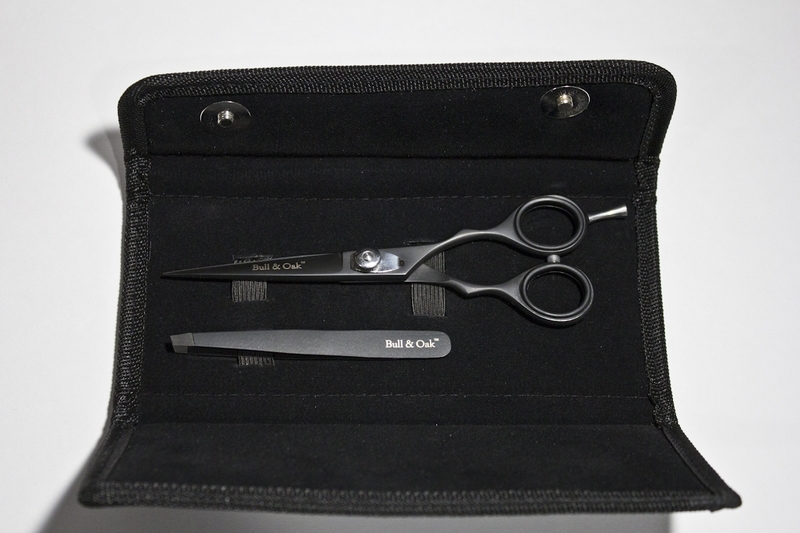 Our shears are made of high quality hardened Japanese steel; comparable to that of shears four times more expensive. 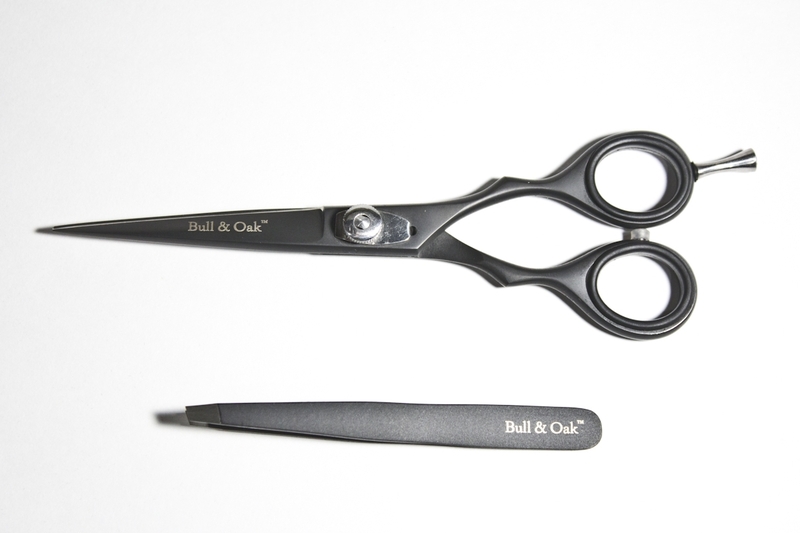 Much like the rest of our grooming line, we've coated these shears in a matte finish to maintain the sleek and minimalist look Bull & Oak is known for. 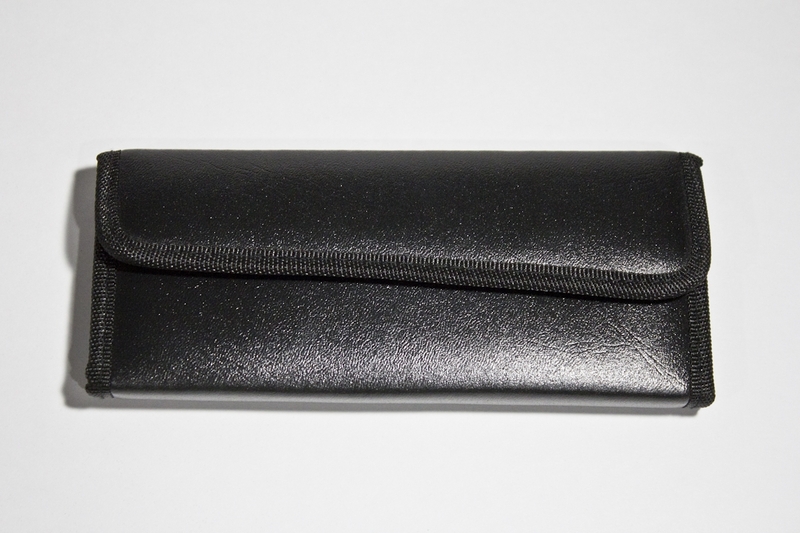 We've designed them to be TSA compliant so you can bring them where ever you'd like. They also feature a screw to adjust the firmness to your liking to give you the perfect cut and feel. These shears are great for cutting strays or a full out beard shaping. Tip: Just remember, when trimming, always trim less than you intend on and adjust accordingly. You can always cut more if desired but you cannot undo a cut to an epic beard that you've spent the last year growing.